In her warmly comical and deliciously entertaining debut novel, master storyteller Rochelle Distelheim sweeps us back to 1913 and the world of struggling Jewish immigrants in New York City’s Lower East Side. Sadie Schuster—fortyish, plumpish, a suffragette, and recently widowed—spends more time now talking to her late husband, Fivel, than when he was alive. 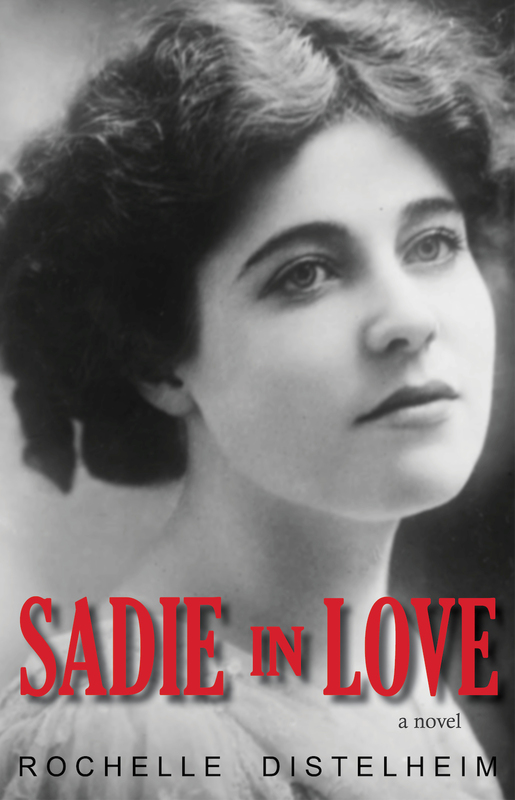 Sadie keeps Fivel informed of her daily activities—especially her pursuit of a husband—because “An empty bed is a cold place for a hot-blooded woman.” A lover of ballroom dancing, the moving pictures, and night-school English words, Sadie’s true talent lies in the magic love knots she artfully crafts for lonely, unwitting, immigrants willing to purchase hope wrapped in a schmattah for fifty cents. Selling love knots while seeking love, Sadie consults with her magic spirits to woo Herschel, the muscled ice peddler who reads poetry and pines for his dead wife. Her daughter, Yivvy, sells second-hand, possibly “pinched” tchotchkes in her antique shop and plans to marry the Irish cop on the beat. Enter: Ike Tabatnik, the Dance King of Riga, Latvia, just off the boat and ready to take on America and Sadie’s heartstrings. Comedy and chaos follow. A stunning confession, following the wedding of one of her love knot clients (which begins with one groom and ends with another) pushes Sadie to make a surprising choice. She then throws herself on the mercy of her magic spirits, asking them to do quickly for her what they have been doing for her customers. Before it’s too late. Rochelle Distelheim’s luminous first novel contains magic, passion and pure joy.